People, even with the invention of cellular phones, still like to purchase wall calendars and have them display wonderful pictures that they are interested in and love to have fun and beautiful displays on their wall. The Atlas Obscura 2019 Wall Calendar is a Travel Poster Calendar that has been adapted from the #1 New York Times bestselling book, the Atlas Obscura Page-A-Day calendar that captures the sensation of wanderlust in 265 days of stunning color photographs, unique facts and unexpected adventures. Jaw-dropping natural wonders, like the Great Blue Hole, a 984by407 foot indigo dued sinkhole in Belize. Eccentric attractions like the Snake Charmers Procession in Cocullo, Italy, a festival that dates back to the 14th century. And singular locations, like the poison garden of Alnwick, England, where the gates carry the worrying message: THESE PLANTS CAN KILL. An inspired gift for travelers, readers, and curious citizens of the world. 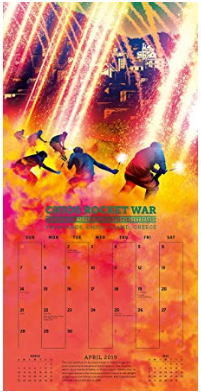 This item will make a great gift for anyone who loves to travel, who loves brightly colored calendars, who loves calendars, or a Secret Santa exchange. The price makes it very reasonable if you are not sure what to get someone. 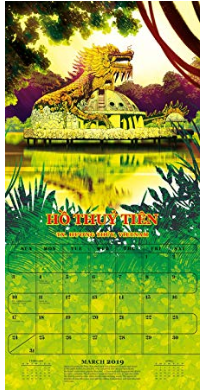 I find it a very lovely calendar and am going to hang it in m office. 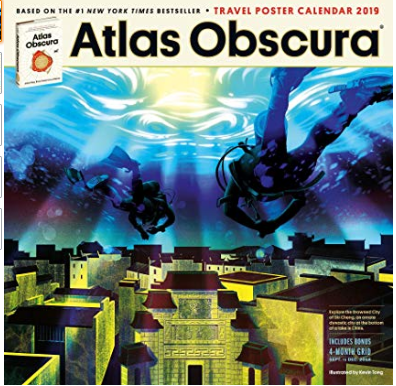 The Atlas Obscura 2019 Wall Calendar retails for $14.99 and can be found online at www.amazon.com.